Join the Open FOIA commitment! As part of the new Dutch National Action Plan on Open Government the Province North-Holland, Open State Foundation, Association of Netherlands Municipalities and several public institutions will cooperate on the Open Wob (Open FOIA) commitment. With Open Wob public institutions will work on releasing documents that have been released because of Freedom of Information Requests. The requests, decision and released documents will be published in a standardized way as open data. Ten governments or public institutions can join the commitment. Everyone can ask for documents with help of the Dutch Freedom of Information Act (Wet openbaarheid van bestuur). However, not all public institutions publish the requests, decision and documents of these FOIA requests. Publishing these documents promotes transparency and can help prevent additional requests. There are also several governments that publish FOIA documents, but these documents are not always very accessible. The Netherlands is a member of the Open Government Partnership (OGP). As part of OGP membership the Dutch Interior Ministry has to make a National Action Plan every two years, with concrete commitments on how to promote open government. The current National Action Plan consists of eleven commitments including Open Wob (Open FOIA). The provincie of North-Holland is responsible for the commitment, together with Open State Foundation, Association of Netherlands Municipalities and several public institutions. As part of the commitment a standard will be made so that these documents will be more comparable and easier to re-use. 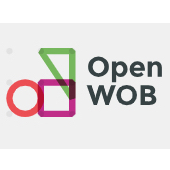 Also the documents will be published online and added to OpenWob.nl,a platform that Open State Foundation built for the municipality of Utrecht. 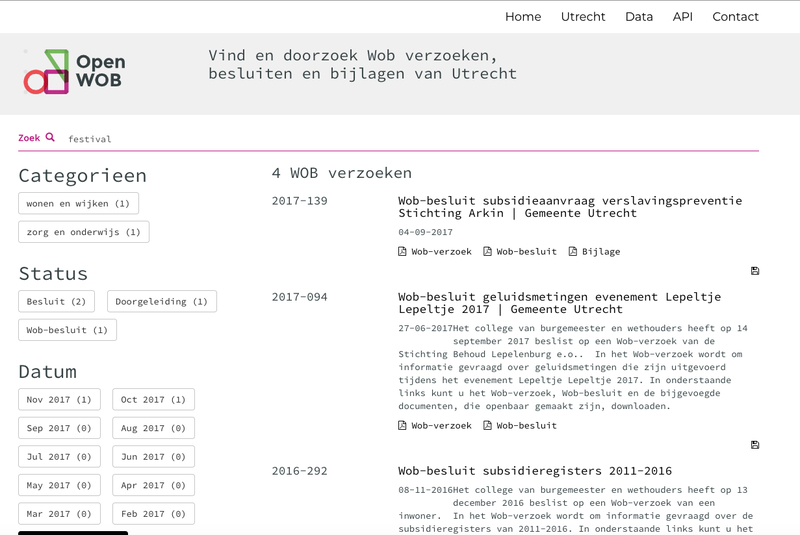 Open Wob makes FOIA documents searchable and re-usable as open data via OpenWob.nl/Utrecht. If you want to know more about Open Wob, please contact Tom Kunzler of Open State Foundation.